I was working on a pattern last night when I got a vision for a photo shoot. 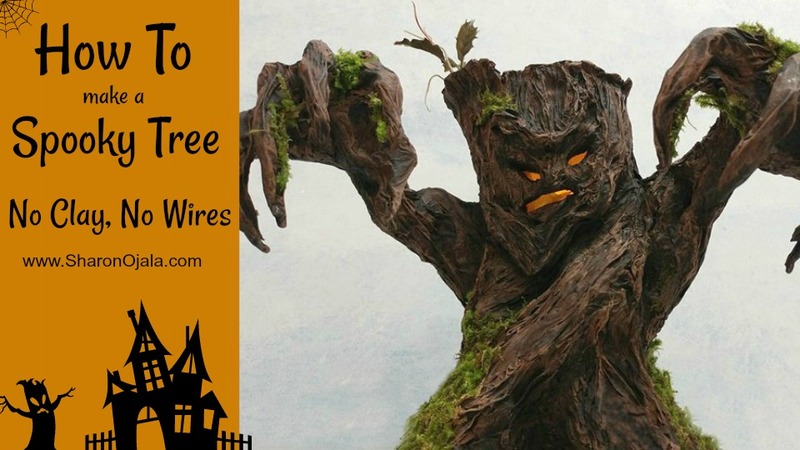 It was so fun to see it in my mind I immediately had to crochet up a few pumpkins. This morning I set up my little forest with my Bats, Ghosts, and freshly crocheted Pumpkins. My vision made it into reality! When I got this image in view of my camera, I looked up and said "Say cheese everyone!" lol I might or might not be losing it... just a little. If you are interested in seeing how I made my trees, I have a whole other set of sites for that! 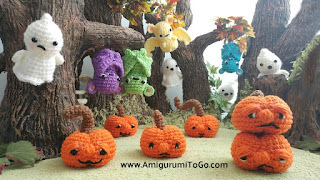 These are so adorable Sharon, I am so excited waiting for the pumpkin pattern,thankyou for your inspiring work.